For this reviewer, it’s movies and television, but for many people, music is what helps them feel connected to so many different things regardless of where they grow up. Those feeling isolated and alone because of their surroundings or other things in their life can retreat into their headphones to hear music that will take them to somewhere else entirely. Discovering a particular musician can be life-changing, and there are more than a few famous singers who have thousands, if not millions, of religious devotees all around the world who have practically, and in some cases literally, memorized every song they’ve ever written. Javed (Viveik Kalra) grows up in Luton, England as one of three siblings in a Pakistani family, and, in 1987, he is feeling hopelessly trapped by where he lives. His father (Kulvinder Ghir) urges him to stay serious and avoid any temptations that feel too “English,” while he regularly experience harassment based on his nationality. 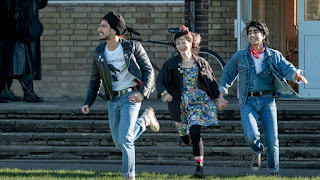 His schoolteacher (Hayley Atwell) sees potential in his writing skills, and, despite attempts to keep him in line from his father, he manages to find some inspiration from Eliza (Nell Williams), a girl in his class, and, most of all, the music of Bruce Springsteen that his friend Roops (Aaron Phagura) introduces him to, forever changing his life. Avid Springsteen fans will likely enjoy this film very much, one that follows a more traditional narrative than, say, “Across the Universe.” This reviewer would probably be described as embarrassingly unfamiliar, but audience reaction to lyrics recited as conversation makes it clear, if it wasn’t already, when Javed is obsessing over his newfound idol and using him to propel every decision in his life. Though it may not seem all that realistic, this story is based on superfan Sarfraz Manzoor, whose enthusiasm truly does parallel Javed’s. 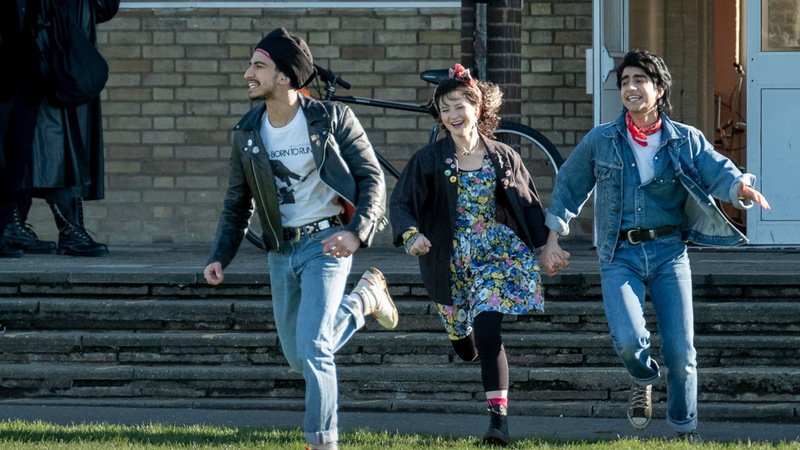 This movie has an entertaining vibe that is reminiscent of a more energetic “Sing Street.” There aren’t explicit performances of songs, but Javed is prone to getting too into the lyrics that he feels can define his life even though Springsteen’s background is so different that he often launches into song in public. Kalra is great, as is Ghir as his father, who is grounded in his old ways and not open to the idea of Javed going on his own path. This film has a fun spirit that overall makes it well worth watching and, for those who know the words, singing along when appropriate.